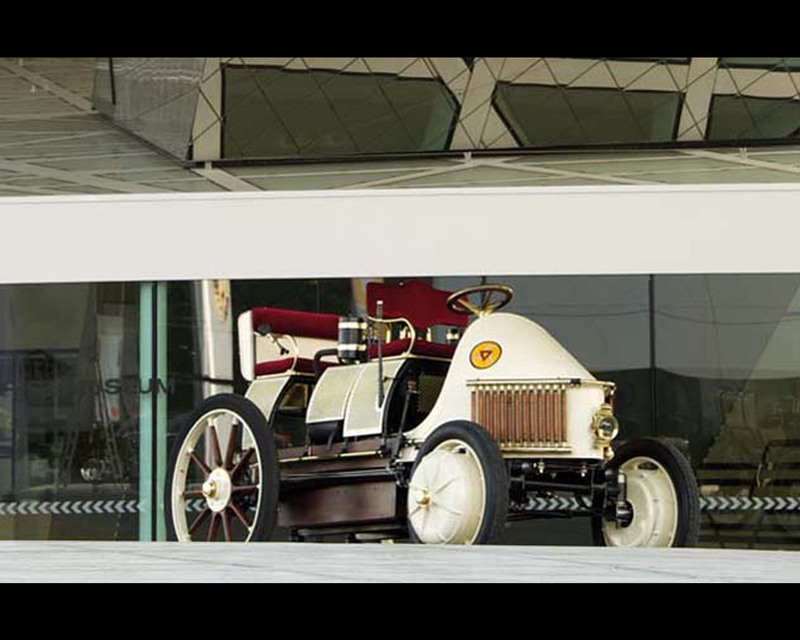 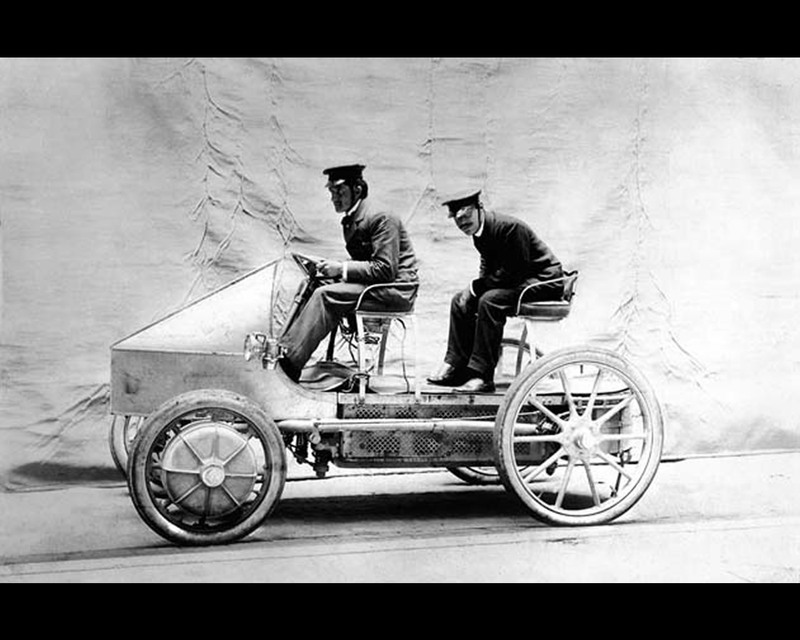 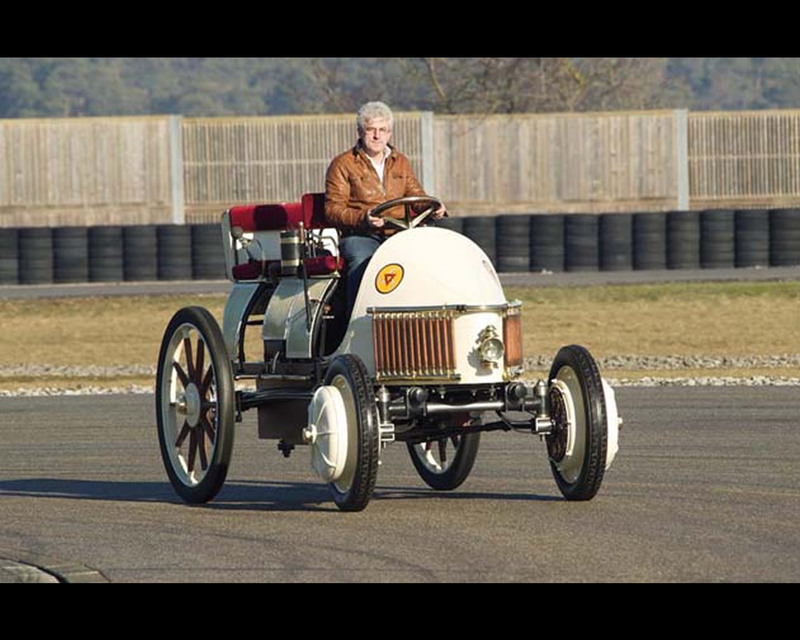 The Lohner Porsche Semper Vivus (“always alive”) was developed by Ferdinand Porsche when he combined his battery powered wheel hub drive with a petrol engine – the principle of the serial hybrid drive had been born. 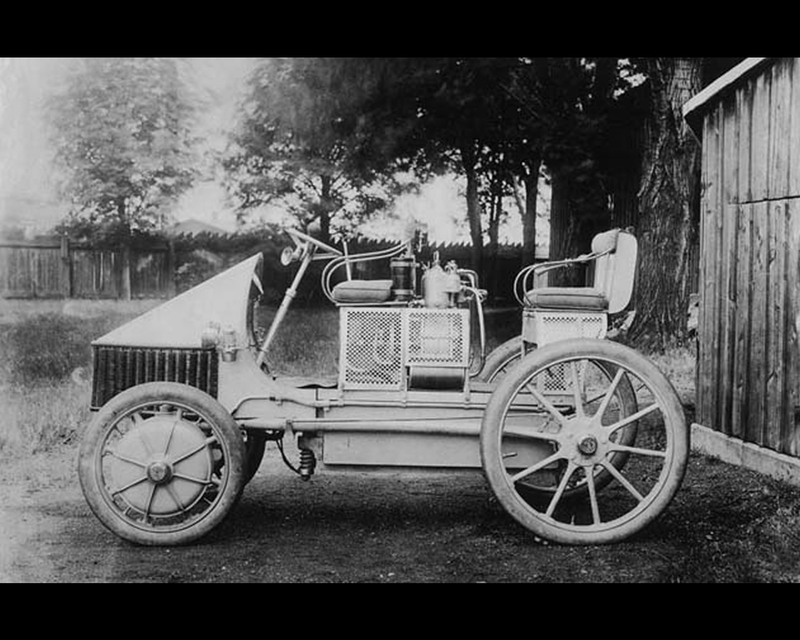 In this vehicle, two generators connected with petrol engines formed a single charging unit, simultaneously supplying electricity to the wheel hub motors and batteries. 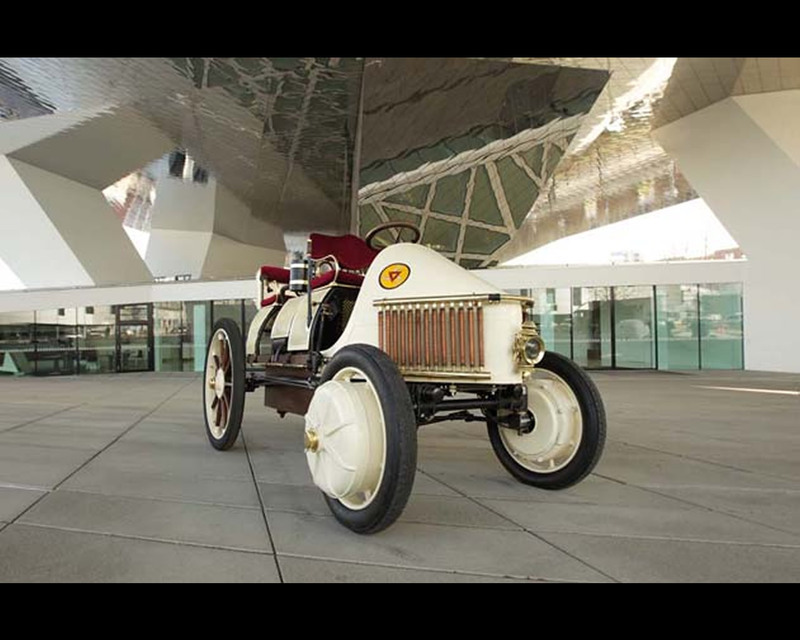 As a full hybrid concept, the Semper Vivus was also able to cover a distance purely on battery power until the combustion engine had to be engaged as charging station. 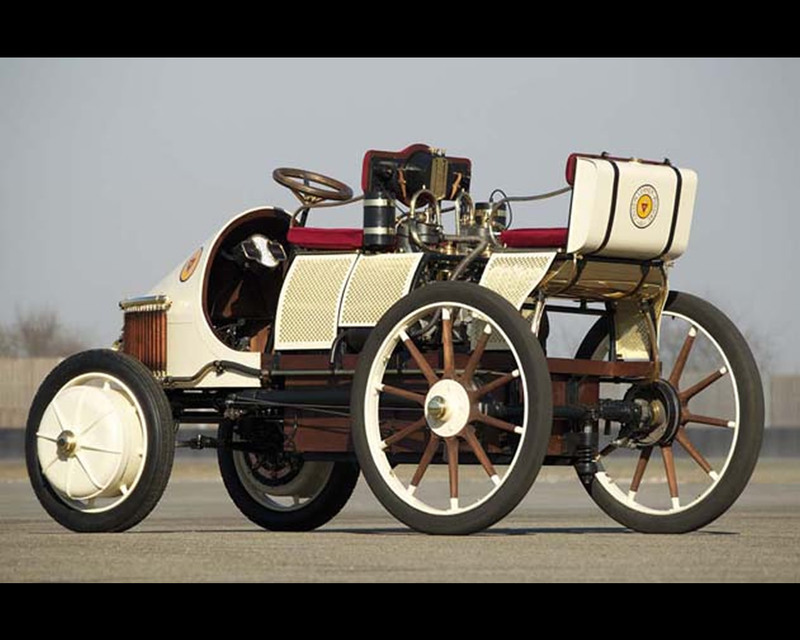 To save weight and create space for a petrol engine, Ferdinand Porsche used comparatively small battery in the Semper Vivus with a mere 44 cells. 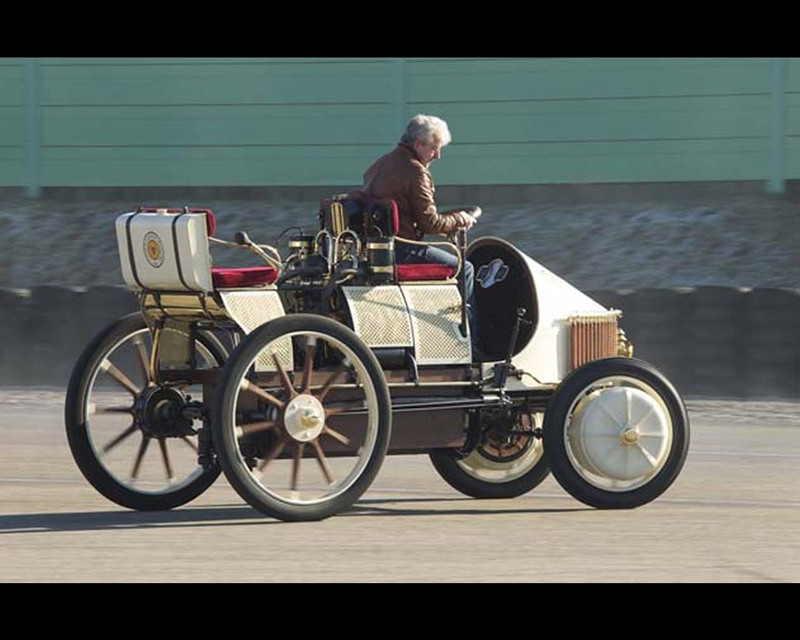 He installed two water cooled 3,5 hp (2,6 kW) De Dion Bouton petrol engines for generating electricity.